Fall Transition Tea! It's fall. But it is still hot outside, am I right? This tea!.. So this was the coolest sponsored post pitch timing I have ever received. As you guys know, I moved Labor Day week and literally the two first things I bought at Whole Foods and stocked in my pantry were two boxes of Tazo hot tea. The blends I picked up were Passion and Organic Spicy Ginger. I started sipping the Passion hot tea in my fave giant mug while we were moving and quickly became re-obsessed with this tea. Every time I buy it, I fall in love all over again. It has always been my number one sip-all-day tea because it is so darn drinkable. So I kept making mug after mug after mug. I was huddled on our empty floor - still moving furniture in - probably on my third mug of Passion tea of the day and I read this inquiry for this post where I get to rave about one of the Tazo tea blends. Um, crazy perfect timing! When your crush tea becomes "work." Yes. Literally one of the first things in my new cabinets.. Passion tea! I love the unexpected flavors of hibiscus, orange peel, passion fruit and rose hips. And the vibrant pink color! It lifts your spirits while you sip it. 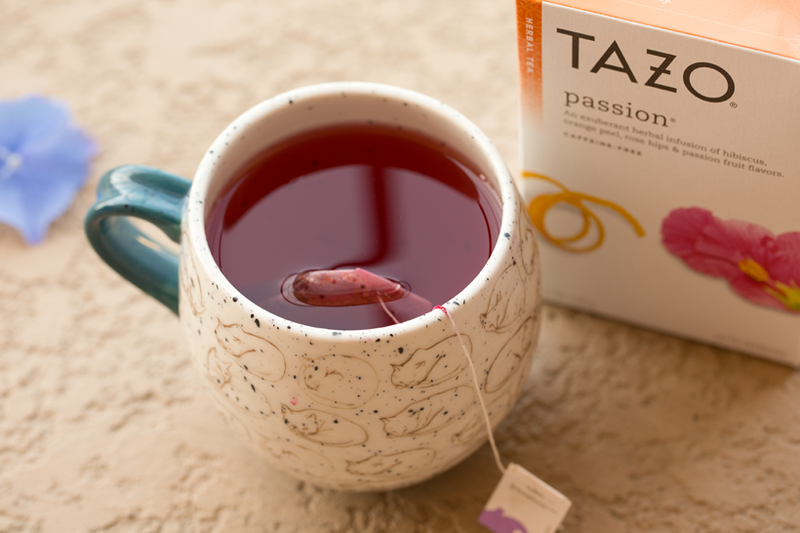 Tazo uses the #SipJoyfully hashtag, and this pink mug of bliss shows why. Hibiscus is such a lovely ingredient for a hot tea because besides the gorgeous color, it produces a natural sweetness so you do not even need to bother with sweetener for the Passion blend. Fall Iced or Warmed Tea. This blend is amazing on its own, but if you want to get all fancy and create a summer-to-fall transition iced tea worth chugging, check out my recipe below. And yes, you can serve my "iced tea" warm if you want. Kinda like a mulled cider .. only in a tea form. I love that this tea is caffeine free so you really can sip it all day long without adding any jitters to your mood. I rarely drink coffee anymore, I only do matcha, so Passion fits perfectly into my beverage routine. 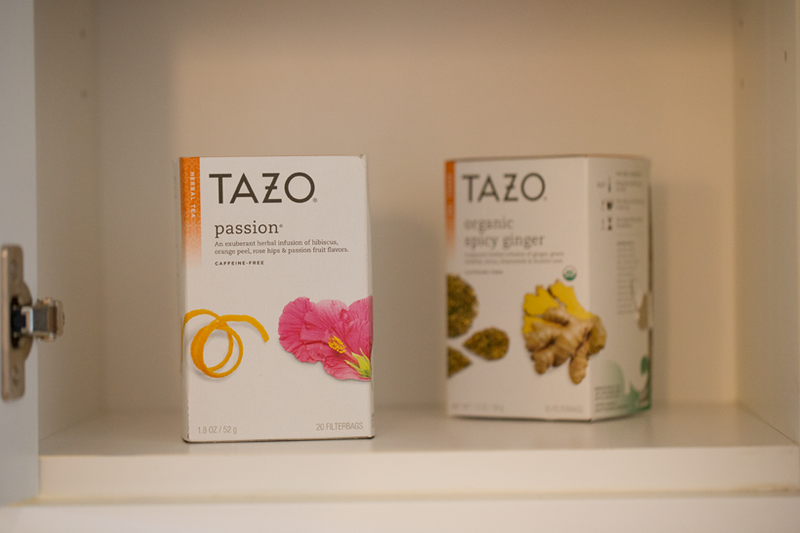 Plus, Tazo teas are made with some of the finest quality tea leaves, spices and botanicals. And you can find them in your grocery store, no hunting down a specialty tea shop. And seriously, every time I buy a Tazo tea, I fly through the box. That doesn't happen with a lot of brands for me. A few bags usually linger in my tea box for months. 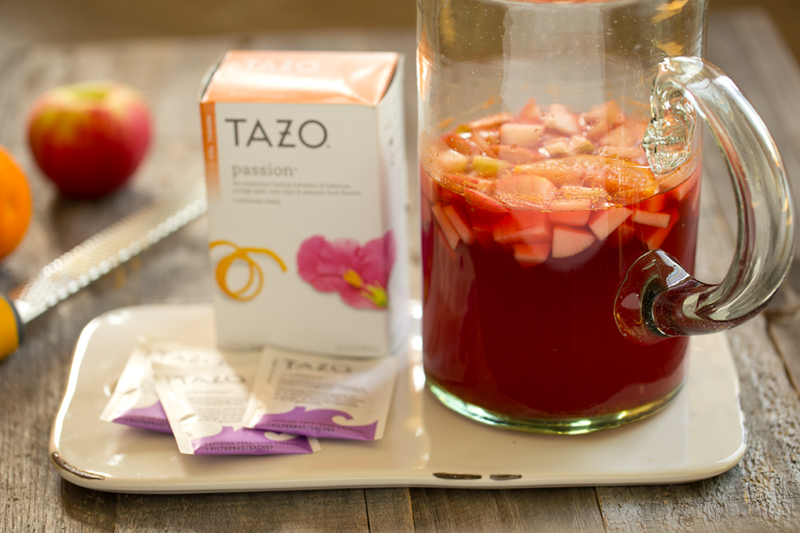 I hope you try my Passion Tea recipe! I will take a trip to the grocery store and ship one person all the exact ingredients for the iced tea and a few other goodies. $50 value. The Iced Tea Flavors. Each sip feels like a crisp breeze apple harvest, a cinnamon stick, warming orange zest and lively juice, sweet hibiscus like a tropical sunset, rose hips and romantic and lovely, passion fruit and a golden pumpkin patch. Ya, kinda like that. :) Enjoy it! 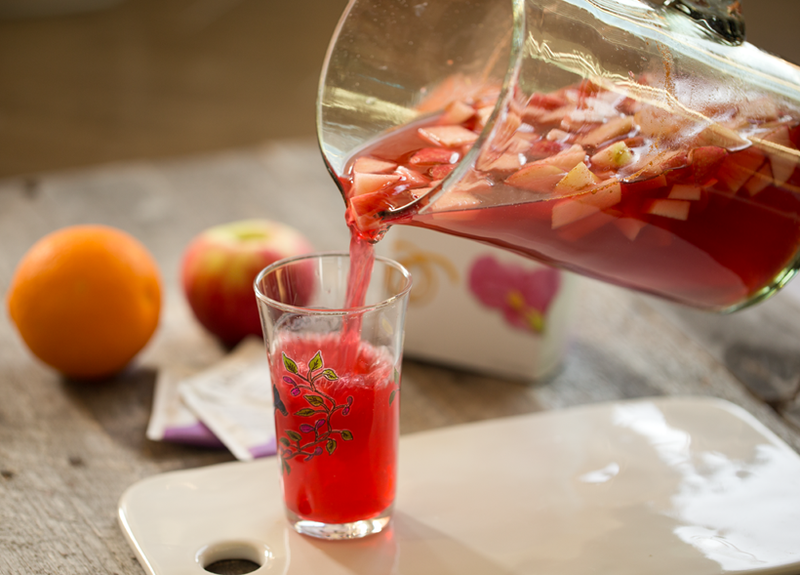 This lively and vibrant iced tea is a perfect summer to fall transition beverage. 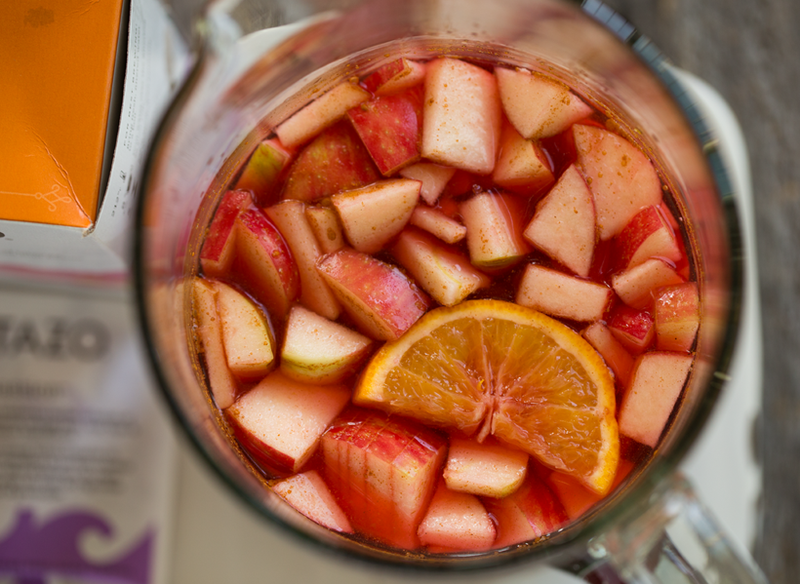 It tastes like mulled wine meets fall sangria -- minus the alcohol that you won't even miss! Pretty pink colors and citrus-spice tones. Warm up your hot water. Add the three tea bags. Allow to steep for a few minutes until a dark pink color appears. Pour the pink tea into a large pitcher, squeezing and discarding the tea bags. Add in the 3 more mugs of water. Stir in the cinnamon, orange zest, apples and optional maple syrup. For the orange, slice out about 3-4 rings or the orange and cut into half moons, stir into the tea. With the remaining ends of the orange, squeeze the juice right into the pitcher. Serve right away at a warm-ish temperature or chill in the fridge for an hour or overnight before serving. And YES this iced tea could even be simmered on a stove and served warm! 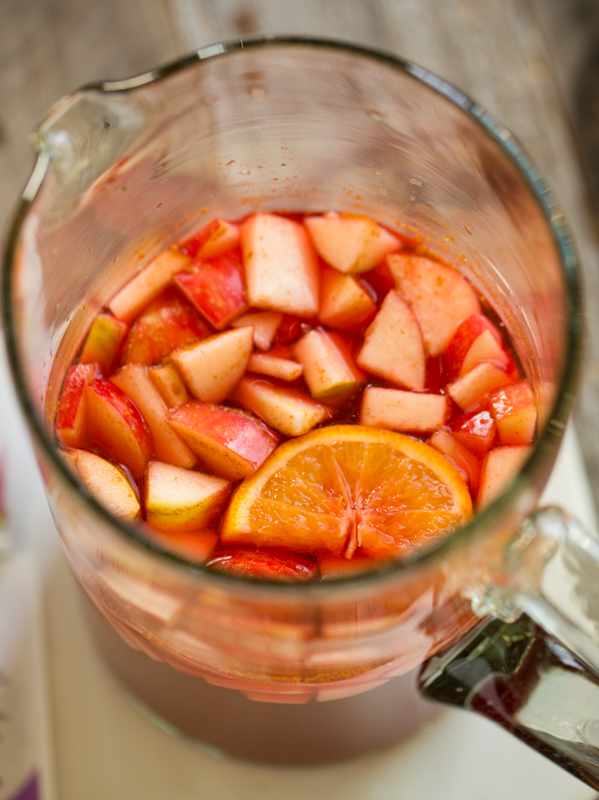 If you are doing a warm version, try adding in some clove and cinnamon sticks. 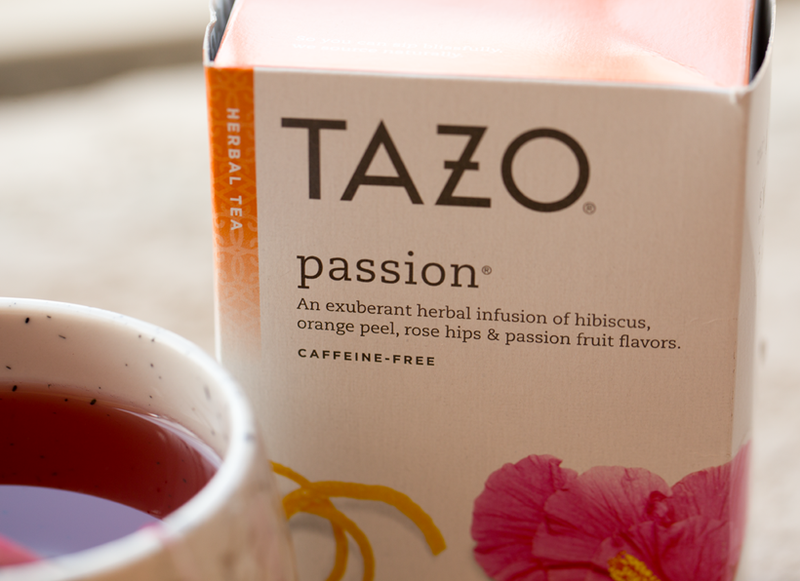 Learn more about Tazo® Tea Passion and other blends like Zen™ or Awake™ English Breakfast. Enter the Giveaway! This the giveaway will be fulfilled by Healthy Happy Life. 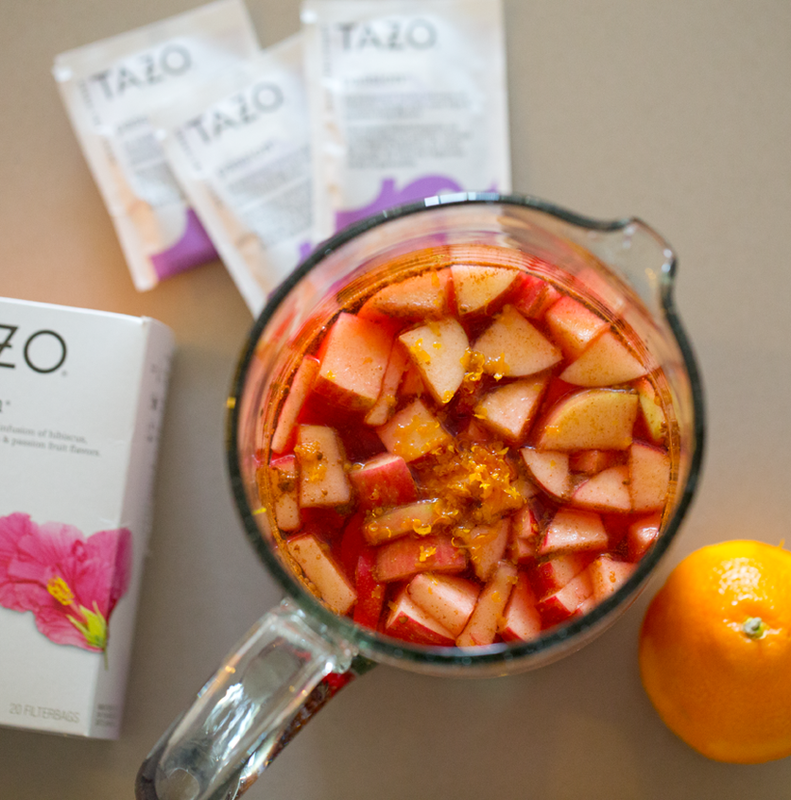 It is not affiliated with Tazo Tea.